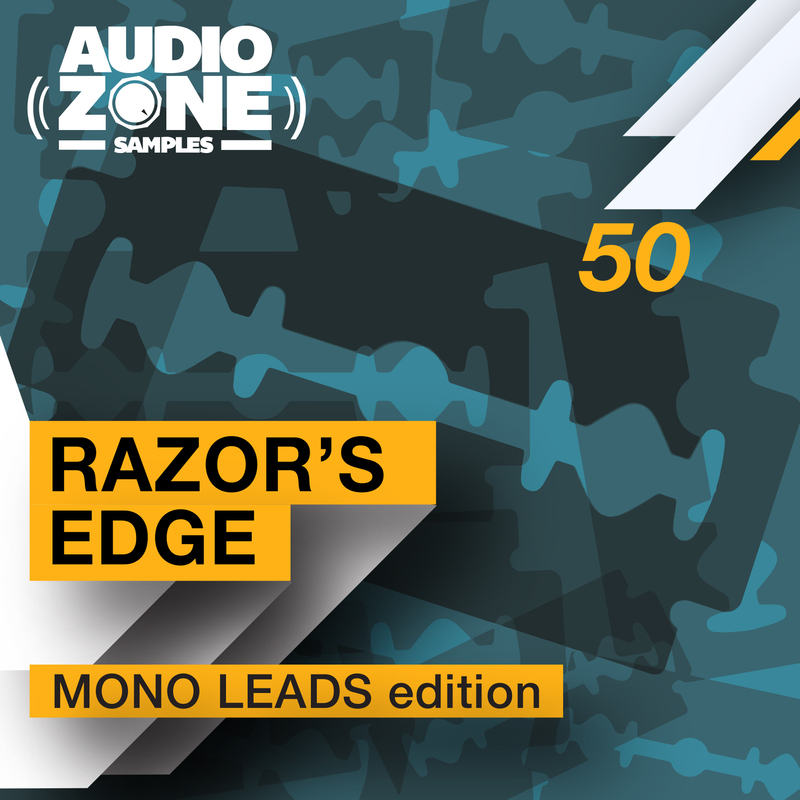 “RAZOR'S EDGE – Mono Leads edition” by Audiozone Samplesis a collection of 50 dance-related Leads patches for Native Instruments Razor!!! This pack contains a variety of huge anthemic leads with a perfect sound to play powerful EDM style like Electro House, Trap, Dubstep, Grime, Complextro, Progressive, Drum'n'Bass and more..
Everyone of this 50 Monophonic Leads have a unique and different character: hard, dirty, charismatic, thrilling, crisp, rough... A complete arsenal of fresh sounds for your next dancefloor banger!!! Each of these presets has been designed by Audiozone Samples team to push your tracks to the next level! RAZOR'S EDGE will increase your sound library with creative and original patches!